Food, wine and laughter with Henschke and Hutton Vale Wines. Image credit: Dragan Radocaj. In Adelaide you will find a vinous adventure like no other, for nowhere else in the world exist the oldest Shiraz, Grenache and Mourvèdre vines still used in the production of wine. Complementing this wealth of vinous history is a number of luxury travel experiences sure to entice the serious wine lover. For those on a tight schedule a visit to Penfolds Magill Estate, located just 15 minutes from the centre of Adelaide, would undoubtedly satisfy the most enthusiastic of wine visitors. In the words of Penfolds Global Manager, Emma Kearsley, “Magill is our home and our heartland.” Choose the Twilight Tour and Luxury Degustation Dinner to travel back in time and immerse oneself in the history of this classic producer. Visit the Grange Cottage together with the vintage cellar and take in the spot where Max Schubert secreted away his work on the now iconic Grange. The evening concludes with a seven-course degustation, each course matched to wines sourced from the substantial cellars. Continuing out of the city and nestled in the Barossa Valley, The Louise is well established as the premier lodgings for the discerning traveller. Striking a balance between absolute luxury and preeminent tourist experiences is foremost at The Louise. 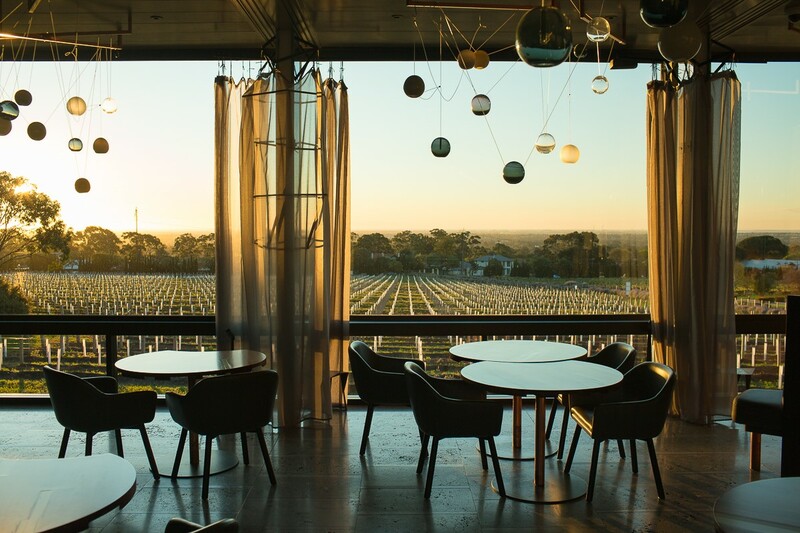 The focus is, as General Manager Kylie Mansfield says, on sharing truly memorable local experiences and producing uniquely tailored, premium Barossa Valley itineraries for guests. Personalised winery visits with local guides, tastings of birth year wines from renowned producers, exquisite meals at the award-winning Appellation restaurant and breakfast with the kangaroos, are just a hint of the adventures to choose from. Perhaps the pinnacle of personalised wine interactions is a collaborative effort from two icons of Barossa’s Eden Valley. The Ultimate Authentic Barossa Experience (UABE) was developed after discussions between Stuart Angas of Hutton Vale and Justine Henschke of the eponymous producer, about how to provide an exceptional day of private access, drawing from the many talents and rich history shared by two families who have worked together for generations. 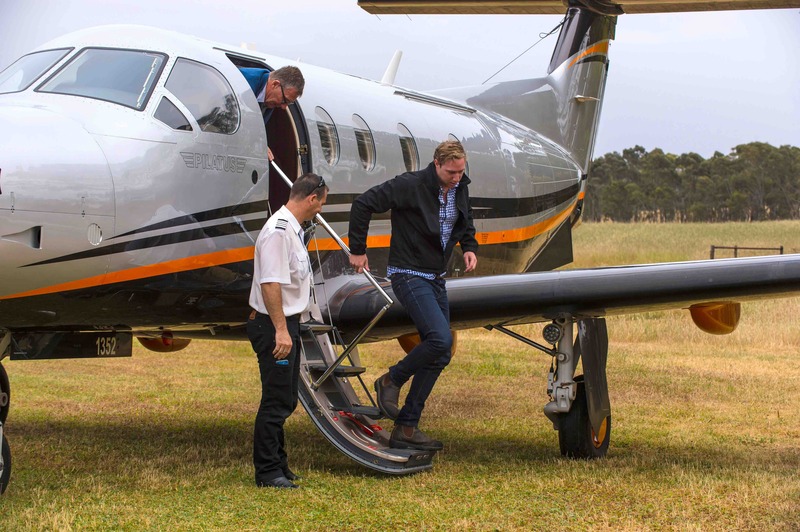 The immersive UABE experience begins by travelling in a luxurious Pilatus aircraft, piloted by Stuart Angas, to a private airstrip at Hutton Vale Farm nestled amongst some of the most acclaimed vineyards in the region. Surrounded by the vines of Hill of Grace, Mount Edelstone and Hutton Vale Farm, guests enjoy intimate access to the people of these vineyards, sharing a lunch of local produce with members of the families and hearing first hand of the historical connection each family has with the surrounding land. d’Arenberg Cube. Image credit: d’Arenberg. Alternatively, travelling away from Barossa to the McLaren Vale presents the possibility of visiting the d’Arenberg Cube. In creating the multi-million dollar architectural delight, Chief Winemaker Chester Osborn sought to offer a wine experience like no other. When talking to Osborn he references the word ‘puzzle’ and applies this to task of uncovering the references on the d’Arenberg labels and to the experiences of enjoying wine itself. In perhaps the ultimate physical embodiment of the word ‘puzzle’, the new cellar door design draws inspiration from the Rubik’s Cube. 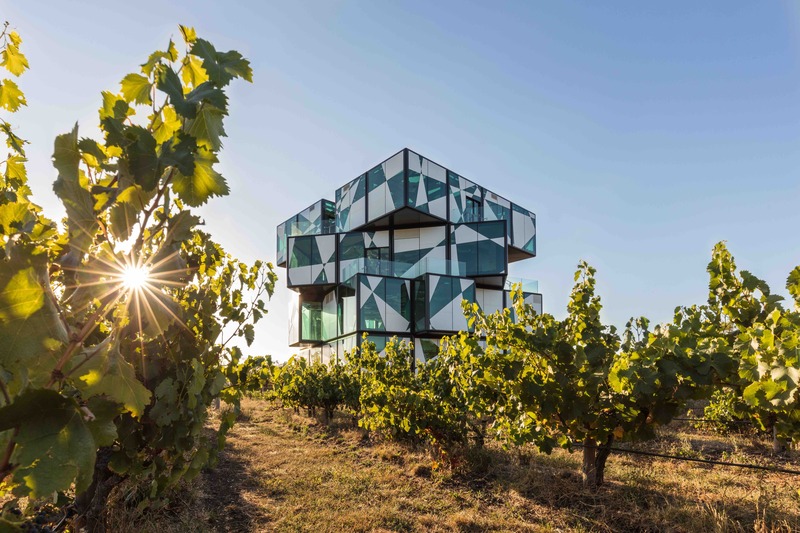 Over a decade in the making, the d’Arenberg Cube plays an important role in transforming the wine tourist experience into a truly interactive adventure. Split over multiple floors the structure of glass and steel seemingly hovers over the surrounding vines, thanks to an elevated base. Serendipity played a role in the final appearance of the building with the double-tempered glass sheets used on the outside of the building only becoming available in 2014, perhaps making sense of the long journey from concept to fulfilment. Stepping inside the d’Arenberg Cube, the downstairs area is devoted entirely to a contemporary museum. Osborn says of his inspiration, “I wanted to work with a lot of different sensory perceptions. I wanted it to be challenging and interesting, bringing awareness to your senses and based on the idea that each person interacts in a unique way with the same wine.” On this floor your will find the interactive wine inhalations room, virtual fermenters and aroma corner. Across the five storeys myriad encounters await the visitor including a new restaurant offering the ultimate dining experience and delivered using cutting edge technology previously unseen in Australia. Here Osborn has assembled a team of the finest led by husband and wife chefs Brendan Wessels and Lindsay Durr, known for their adventurous and innovative style in the kitchen.